IDBI Bank Expert/Professional (Information Technology Recruitment 2017 - Job notification for Expert/Professional (Information Technology) Posts in Mumbai on Contract Basis. Applications are invited by IDBI Bank on or before 09 Oct 2017. The experts to be from Private Sector Organizations / PSBs / Fintech Companies who are having relevant and adequate experience in Information Technology at a senior level of which preferably minimum of 5 years relevant experience in BFSI sector. Remuneration based on experience, Seniority level etc. Eligible candidates may send/submit their application in prescribed format along with attested photocopies of all essential documents in an envelope super scribed as “Application for engagement as Expert/Professional (Information Technology) on contract basis - 2017” and addressed to The Chief General Manager, Human Resources Department, IDBI Bank Ltd., IDBI Tower, 21st floor, WTC Complex, Cuffe Parade, Mumbai – 400 005 before : October 09, 2017. IDBI Bank Recruitment 2019 - Apply Online for 120 Specialist Officer Posts in IDBI Bank, Across India on Contract Basis. 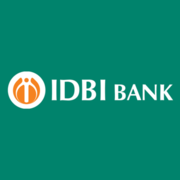 Online Applications are invited by IDBI Bank from 18 Apr 2019 to 30 Apr 2019 for 120 vacancies.